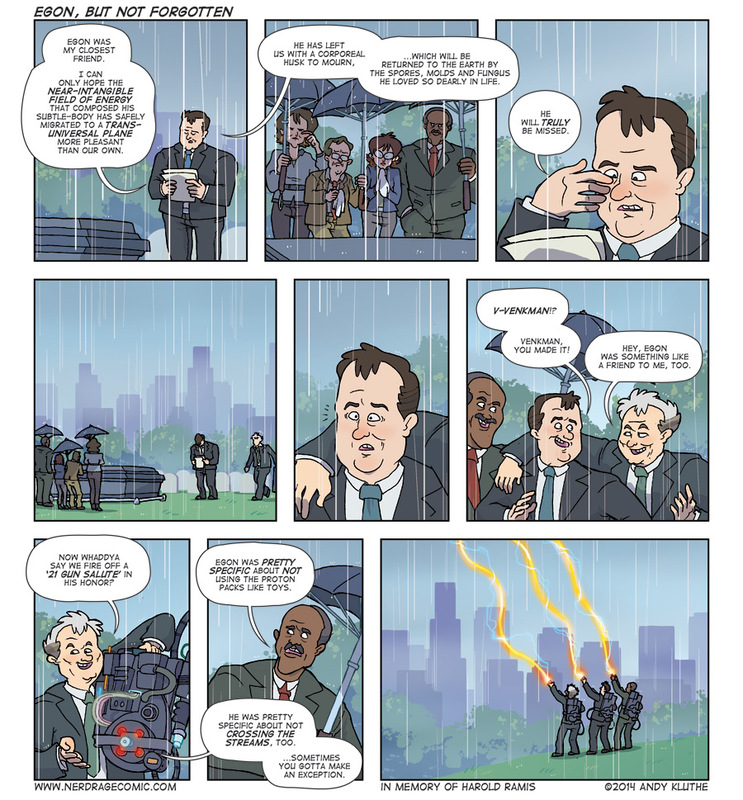 This week's comic is made in memory of Harold Ramis: director, writer, actor and Ghostbuster. I would have liked to have something ready last week when he passed but the Lego Movie comic was so far along I opted to push this one back an extra week. The extra time let me accomodate a longer-than-usual strip. Ramis was responsible for a lot of my favorite movies -- including Groundhog Day and National Lampoon's vacation -- and as Egon Spengler was my favorite member of the Ghostbusters. Those of you who have met me at conventions (when I'm not manning a table in the Artist's Alley) will know my jumpsuit's tag reads "Spengler". Mr. Ramis, you truly will be missed. And as a mere fan, my heart goes out to friends and family directly affected by his passing.